NBC is shifting AQUARIUS and HANNIBAL to Saturdays, a source has confirmed. DATELINE THURSDAY MYSTERIES will now air Thursdays from 9-11 PM. AQUARIUS moves to Saturdays at 9 PM, while HANNIBAL will air Saturdays at 10 PM. For HANNIBAL, the shift makes sense — the series was canceled in June. But for AQUARIUS, which was renewed a few weeks ago, the move doesn’t exactly bode well for its long-term prospects. 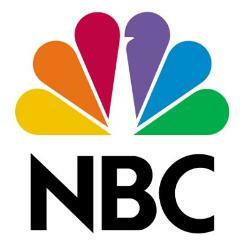 Wall Street Journal reporter Joe Flint first reported NBC’s move. Will Graham (Hugh Dancy) continues his search for Hannibal Lecter (Mads Mikkelsen), making his way to Hannibal’s childhood home in Lithuania. Once there he meets the mysterious Chiyoh (Tao Okamoto), former attendant to Hannibal’s aunt. 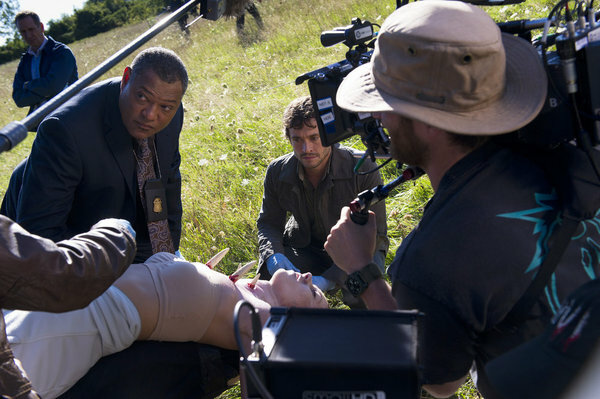 Meanwhile, Jack Crawford (Laurence Fishburne) arrives in Italy, hoping to find Will and intervene before tragedy strikes again, and Bedelia (Gillian Anderson) warns Hannibal against unraveling his new life. NBC celebrated its upcoming television season this week with a presentation of their 2014-2015 schedule, and a party that brought out stars from its current shows (HANNIBAL, GRIMM, ABOUT A BOY, SVU, and more), as well as the shows that will debut next season (BAD JUDGE, CONSTANTINE, MARRY ME, to name a few). Finally, some good news for a bubble show: NBC has picked up Bryan Fuller’s HANNIBAL for a third season, a rep for the network confirmed. Are you excited to get more HANNIBAL? HANNIBALS’s second season will be 13 episodes. Are you excited for more HANNIBAL? HANNIBAL at Comic-Con Watch the Full Panel! Comments Off on HANNIBAL at Comic-Con Watch the Full Panel! Did you miss the HANNIBAL panel at Comic-Con on Thursday? No fears! You can watch the entire thing now! NBC has opted to not air HANNIBAL’s official fourth episode tonight (choosing to go straight into episode five), so to fill in the character gaps, they’ve made little webisodes about the vital parts of the missing episodes. Take a look at all six parts! In Case You Missed It…SUBURGATORY, THE VAMPIRE DIARIES, ONCE UPON A TIME, and More! Comments Off on In Case You Missed It…SUBURGATORY, THE VAMPIRE DIARIES, ONCE UPON A TIME, and More! SUBURGATORY Season 2 Finale Post-Mortem: Emily Kapnek on the Tears, Spoilers, and ‘Pleasant Nightmares’ From ‘Stray Dogs.’ Plus Some (Very Early) Season 3 Plans! The fourth episode of the series was set to guest star Molly Shannon playing a character who brainwashed children to kill other children. Given the recent events — including the December shooting at Sandy Hook Elementary School — all involved with the show felt it was best to not air this episode now. Now that we finally have a HANNIBAL premiere date, how about some photos of the production of new NBC series to go along with it?